The Booking Form can also be used to enter Disbursements. When the user selects Disbursement. a pop-up box appears allowing you to enter the value. 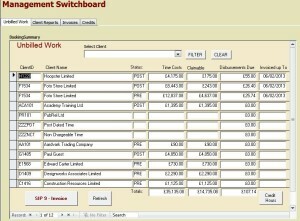 The Switchboard allows you to Book Time, Add New Clients or Produce Reports. 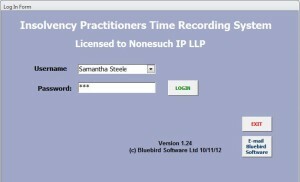 You can enter time for any member of staff and any date. The system can be modified so that you can only enter your own time – unless you are an Administrator. The main Time Booking Form. 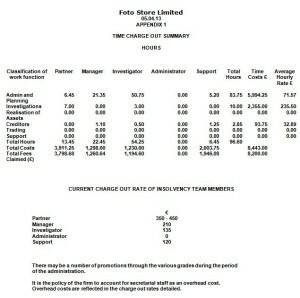 Here you will enter the Client, the Activity type and Detail, Hours booked and Narrative. 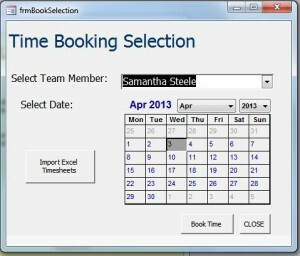 When you have entered a booking, it is shown at the top of the screen. I can easily be amended if necessary. 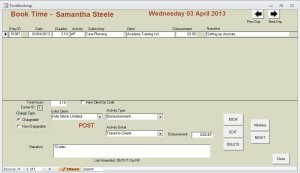 The Booking Form can also be used to enter Disbursements. When the user selects Disbursement. a pop-up box appears allowing yout to enter the value. 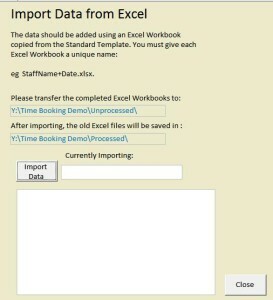 Bookings can also be uploaded via an Excel Spreadsheet. This is useful for Staff working from home as they can email in their work times. 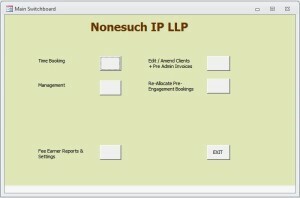 All unbilled work is shown on this screen converted into money value. 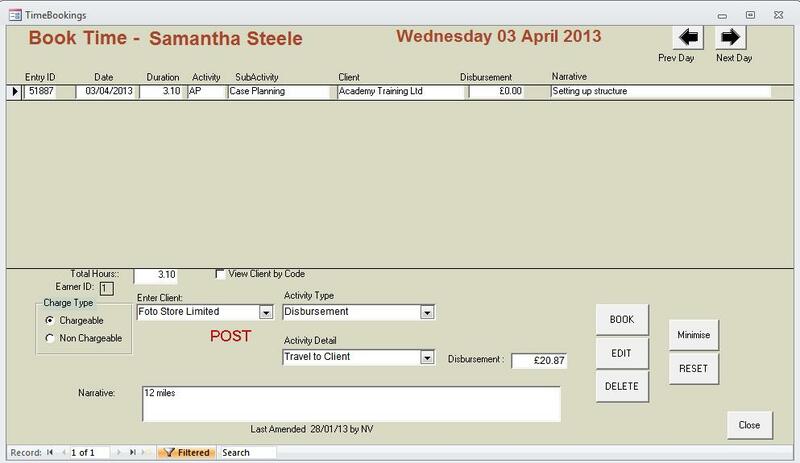 For a Case selected on the previous screen, this screen shows a detailed breakdown of all time and disbursements booked against the Client. 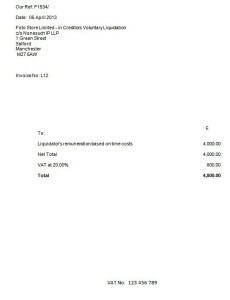 Invoices can also be produced for Pre-Appointment Work.